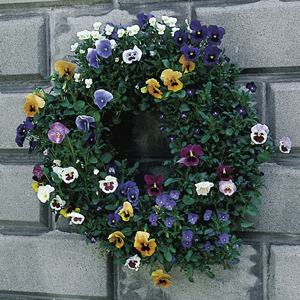 Clip-together design makes it easy and quick to create living wreaths to decorate doors, walls, fences and table tops. Use succulents, ivies,ferns,mini cyclamens, ponsettias, small annuals and herbs to make strikingly unusual floral decorations. The simple design of these Living Wreath Rings will allow you to plant wreaths for every season. 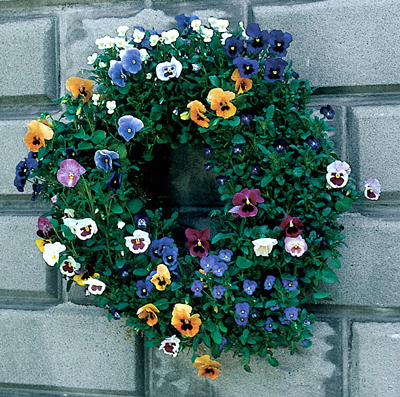 We offer the Living Wreath Forms in 3 sizes-Small-16", Medium-20" and Large-24" and a jute liner is now included. Liner material needs to be soft enough for you to make a hole and plant-but thick enough to hold the potting mix in place. 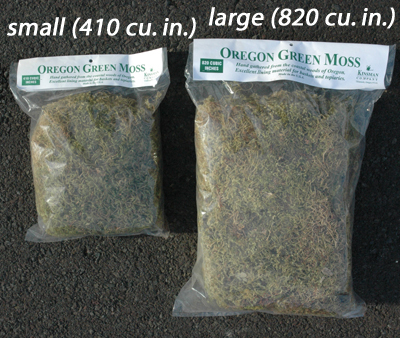 Oregon Green Moss-Small wreath uses one Large bag, Medium uses one Large and one Small bag, Large uses two Large bags. Coco-Fiber Moss-Economical 1 lb bag of Coco-Fiber Moss is enough to line either Small or Medium wreaths. The 1 lb bag can be "stretched" to line a Large wreath. The replacement jute liner is item SLWL. My husband loves pansies & I wanted to try succulents, so I ordered two forms, one 16" and one 20"! I like the result, but almost gave up because the material using for the lining was so tough to cut, to add the plants. I don't know that I will buy another, because of this. I appreciate the strength of the fabric to secure the plants in place, but it needs to be easier to work with. Owner Response: You might consider using moss or loose coco fiber for future plantings if you don't care for the jute liner! Satisfied with item. 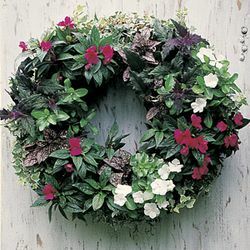 Wreath looks lovely when planted with your own choice of plants. Very happy!!!!!! Very sturdy for with jute liner. Added soil and lots of succulents for a fun wreath! I was a little disappointed with this item. I was so looking forward to filling it with flowers, but when I finished it, it was very big and bulky. You can see more of the wire and jute liner than I anticipated almost looking like a cage with some poor flowers sticking out the front. I love the living wreath forms. I have ordered several in the past. i have never found them in any other catalog or store. 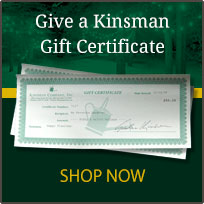 your website is easy and the people that i have talked to on the phone, on occasion, were most helpful.